The struggle for parents to conquer head lice issues is real around the world, and one Dallas-Fort Worth company is taking head lice on head first. Our team at Advice Local was excited to take on the challenge – and we won an award for it along the way. 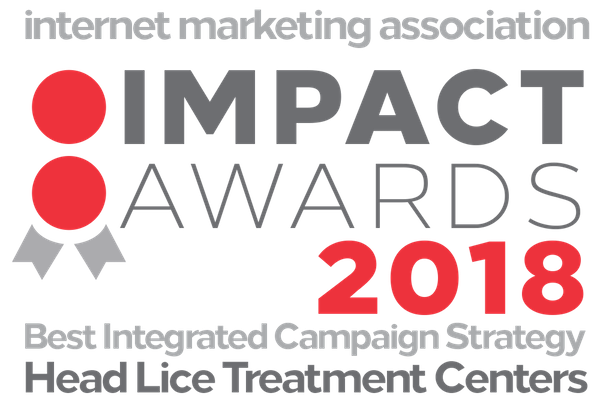 The integrated campaign we are going to outline below was awarded Internet Marketing Association’s Impact Award 2018 for Best Integrated Campaign Strategy by the Internet Marketing Association (a one-million member network). Our client, a local head lice treatment center, reached out to us looking for a way to educate parents and school administrators on the importance of professional head lice treatment. Being local to the Dallas-Fort Worth area, our PPC, Content and SEO team members knew super lice has been a problem in the area for quite some time. Something had to be done to stop the outbreaks. These three powerful Advice Local teams came together to create an integrated campaign to educate parents, teachers, and school nurses on the subject matter of super lice. As you may know, super lice is resistant to most over-the-counter products and DIY home remedies. People with super lice need to be treated by professionals. An infographic sent out to 1,650+ schools in the area that teachers and nurses could share with parents. The Dallas-Fort Worth Lice Treatment Resource Center, an educational site, includes important resources for users including lice fact sheets and links to the DSHS Infectious Disease Control Unit, the Center for Disease Control and Prevention, and the Environmental Protection Agency. The Lice Tracker (part of the Dallas-Fort Worth Lice Treatment Resource Center website) was created to help school administrators be in compliance of Senate Bill 1566. This legislation, in effect since September 2017, requires that elementary school nurses who become aware of a case of head lice in a student are obligated to notify not only the parent of the affected child, but also the parents of every other child in the same classroom. We developed the Lice Tracker, a simple tool that allows anyone who is registered on the website to anonymously report an outbreak in their school district. When an outbreak is reported in an area, all registered users receive an alert that an outbreak has been reported. 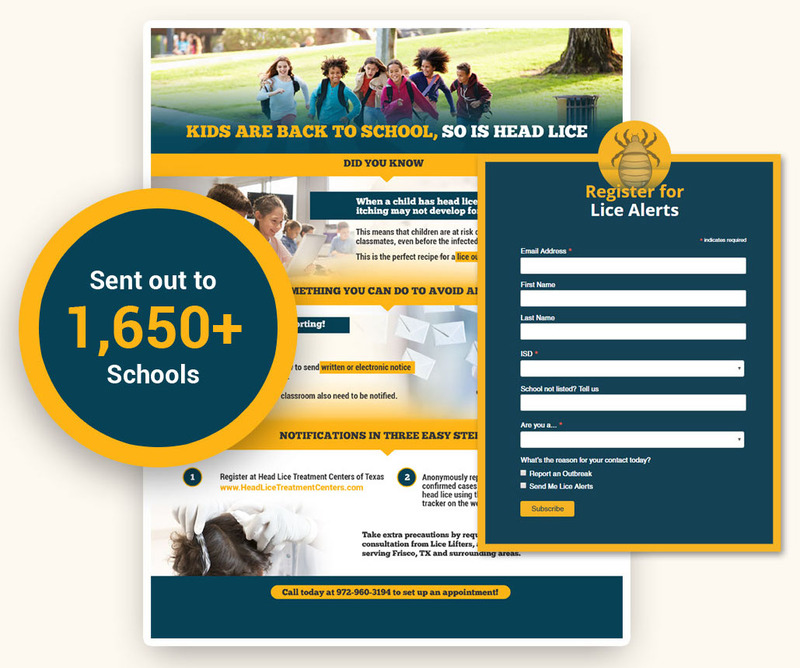 To notify and educate school administrators and nurses on our Lice Tracker tool, we sent out infographics to over 1,650 schools in the area, explaining step-by-step how to register on the website. The information packet also included a letter to be shared with parents, encouraging them to sign up for lice alerts. Since HeadLiceTreatmentCenters.com was launched, we have seen a consistent increase in users and sessions. 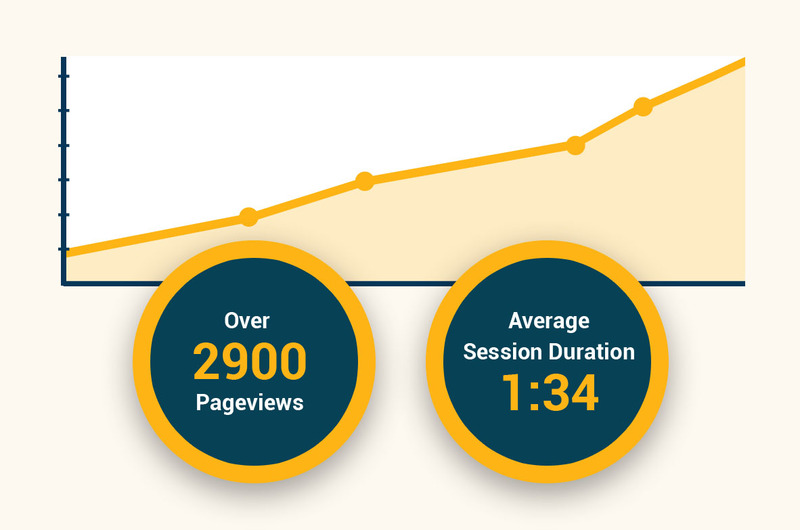 So far, we’ve reached over 2,900 pageviews with an average session duration of 1:34. And this is only the beginning. We are confidently expecting this number to increase in the following weeks and months as more and more schools receive their infographics and everything they need to know about registering for the Lice Tracker. This campaign is the result of the combined efforts of the Advice Local team and our client spotting an important need and problem in our local communities. We hope that, through the engagement and togetherness of the surrounding communities, we will not only beat head lice outbreaks but will also prevent the further spread of them. It takes a village. This is an example of one local-focused, award-winning strategy! What do you have in the works? Need a team to help you build something great? We’re here to help! 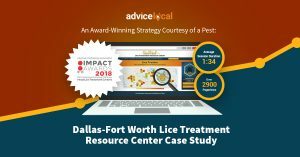 The post An Award-Winning Strategy Courtesy of a Pest: Dallas-Fort Worth Lice Treatment Resource Center Case Study appeared first on Advice Local.